Fish oil is one way to supplement your diet to make sure you’re getting enough omega-3 fatty acids. Here is a sampling of the benefits you can expect from taking fish oil, including tips on how to choose the best fish oil supplement. One of the most highly publicized benefits of fish oil is that it can help slow the aging process. It does this in a few distinct ways. By being an anti-inflammatory agent, it helps protect against conditions caused by excessive inflammation. It also has been shown to directly affect the lifespan of cells, literally slowing down how fast cells age, which provides plenty of benefit to the body as a whole. Anti-aging foods and supplements are your best bet when trying to reducing the aging process, and also to fight the signs of aging before they occur. Fish oil has also been shown to support a healthy metabolism, which tends to slow with age. That’s why you’ll often see fish listed on diet programs because it not only supplies protein but the omega-3s it contains helps the body’s metabolism naturally. This could be responsible for helping you burn a few extra per day or more, which can make a significant difference to your dieting efforts. The bonus of using fish oil rather than fish is that it’s easier to take on a daily basis. Just make sure you’re taking fish oil from a clean, sustainable source for best results. One of the conditions that fish oil is typically recommended for is rheumatoid arthritis, since it is known for its anti-inflammatory properties. Arthritis is one of those conditions that there currently is no cure for, so it’s all about trying to treat it from several different angles. One of those is to adhere to an anti-inflammatory diet, and fish oil can play a part in that. Your doctor can give you additional tips on how to best treat the condition, including steps to try and increase your mobility and decrease your pain. If you’ve noticed that you get asthmatic symptoms when you exercise, taking fish oil supplements may be a way to treat the condition without using drugs. Clinical studies have shown that those taking fish oil experience increased lung function, while those not taking it experienced the symptoms of exercise-induced contraction of the bronchial tubes. 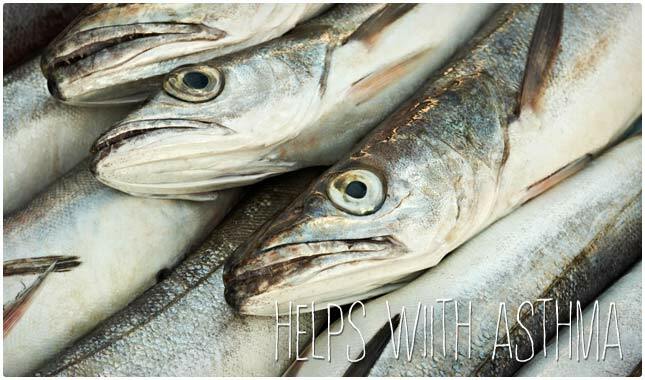 Fish oil also helps reduce inflammation assocaited with asthma and other allergies. It may be worth trying before resorting to other treatment methods. Fish oil can help improve your mental clarity by allowing your brain to function at optimal levels. It’s not a matter of over-supplementing in order to boost your brain to new heights, but rather it’s about making sure you’re not running a deficit and thereby hindering your mental performance. What’s more, long-term shortages of the essential fatty acids found in fish oil can lead to an increased rate of aging in the brain. This is a big reason to double check that you’re getting enough omega-3 in your life. The other reason fish oil gets so much attention is that it’s showing promising signs of being able to prevent the formation of cancer in the body. The type of cancer that seems most promising is breast cancer, but it’s also being studied in relation to colon cancer, among others. However, there are also studies that have shown a link between excessive fish oil consumption and the development of prostate cancer, so be sure to consult with a doctor if you have prostate concerns. Bolstering your immune system is important, and something that should be attended to on a daily basis. 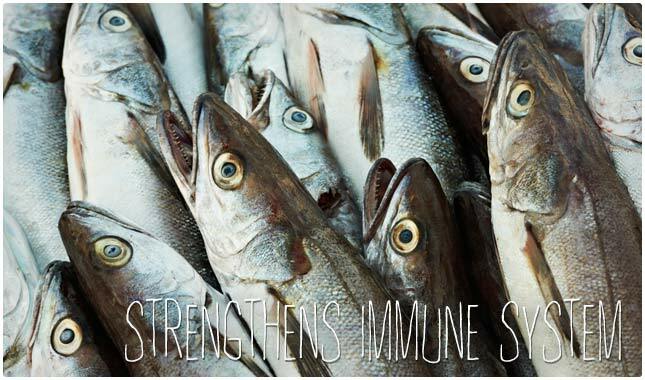 Fish oil can help in this regard because research shows that it can boost your immune system. Since your immune system is so important to fighting off colds and flus in the short term, and diseases like cancer in the long term. Keeping it running smoothly is important in making you feel good each day, and ready to take on the challenges life brings. The omega-3 fatty acids in fish oil help give the body the building blocks it needs to repair and recover after exercise. Fish oil can help speed up the time it takes to recover from a strenuous workout. It may not be the most direct way to help you build muscle, and there are other supplements that can do a better, faster job. But as part of the bigger picture when it comes to building muscle, it shouldn’t be overlooked. Your heart is important, so keeping it functioning at its best is crucial for your overall health. Perhaps the most well-supported benefits of fish oil is what it can do for your heart. It is generally recommended that you add fish to your diet in order to help your heart. For some this may not be feasible because they don’t like the taste of fish. Fish oil factors in as a way to supplement your diet and get some of the benefits of eating fish. 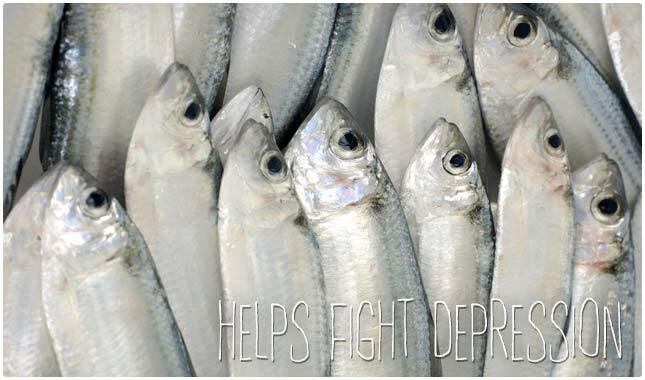 One important benefit of fish oil is that it can help fight depression and improve your mood. Clinical depression is a serious problem that can’t be addressed by a supplement, but you may find that you can use fish oil as part of a larger approach to feeling better. For those that are not dealing with such an extreme case of depression, supplementing with fish oil may be a way to improve your mental state and feel better about the world around you without resorting to recreational drugs or alcohol. Fish oil supplements are often used as part of a comprehensive approach to bring triglyceride levels down. The omega-3’s in fish oil are what is responsible for these lowering effects. Try incorporating fish oil into a diet that is low in sugar and refined carbohdyartes for the best heart health. What is fish oil used for? Fish oil supplements are taken for a number of reasons. Suffering from a condition caused by or aggravated by excessive inflammation is one reason people take it. Others are trying to improve the health of their hearts, and still others take it as part of an overall approach to good health. Anything taken in excessive amounts can be dangerous. This is why you’ll want to make sure you don’t take too much. Can fish oil affect the liver? There are conflicting reports on fish oil’s effect on the liver. 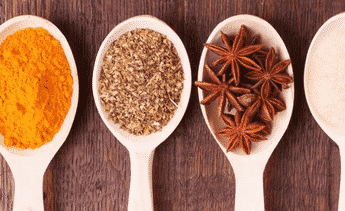 Some studies have shown that it can have a detrimental effect if taken in large doses, while others show that it can help the liver function at its best. The key is to take your fish oil supplement as directed by a doctor or nutritionist and avoid taking excessive amounts. Does fish oil boost testosterone? 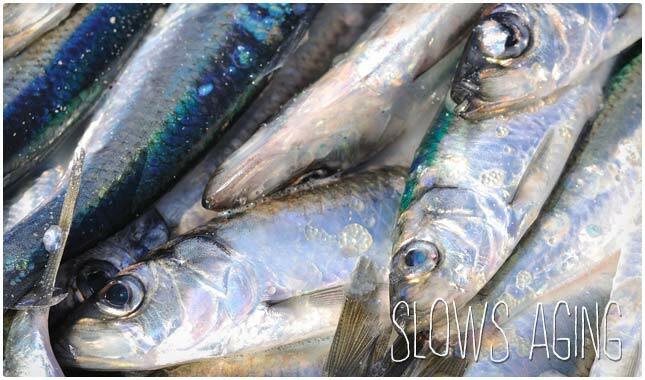 Animal studies have shown that fish oil can help increase tesosterone levels. But the best way to restore hormone balance is by eating a diet high in anti-inflammatory foods and exercising regularly. Will fish oil help joint pain? Fish oil has been shown to help reduce joint pain. Can fish oil affect prostate health? Recent studies have found that excessive amounts of fish oil supplementation can lead to an increased risk for prostate cancer. Talk with your doctor before taking fish oil to find out what your specific needs are, and what potency you need, especially if you have concerns about your prostate. 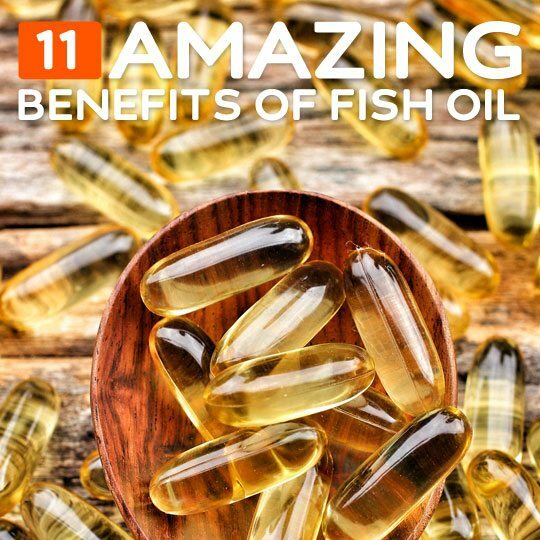 Does fish oil treat acne? Supplementing with fish oil alone will not clear up acne, but it can help reduce inflammation assocaited with the skin condition. We recommend cutting out all dairy and sugary foods from your diet to help clear up skin problems! Is fish oil a polyunsaturated fat? Fish oil contains polyunsaturated fatty acids, which are known as a “healthy fat” and along with monounsaturated fat differs from the unhealthy fats such as trans fat. It’s recommended to consume healthy fats daily for optimum health. Does fish oil decrease blood pressure? Fish oil has been shown to decrease blood pressure in those with high blood pressure. It can be used as part of a more comprehensive approach, including eating more fruits and vegetables, and getting more exercise, as well as checking with your doctor to see if medication is necessary. Is fish oil a vitamin? Fish oil itself is not a vitamin, but it may contain trace amounts of some vitamins within the supplement. Will fish oil cause constipation? One of the possible side effects of fish oil is constipation. That’s why it’s best to determine how much fish oil you need and don’t overdo it. Is fish oil in prenatal vitamins? Several brands of prenatal vitamins will contain fish oil in them. Recent research recommends that women take DHA during pregnancy to support fetal growth and development. Look for a high-quality prenatal DHA supplement sourced from wild-caught fish. Will fish oil make you lose weight? Fish oil alone will not make you lose weight, but you can use it as part of a healthy diet and exercise regimine to reduce inflammation in the body, restore gut health, and stabolize hormone levels. Does fish oil improve skin health? Fish oil contains essential fatty acids that have been shown to help improve existing skin conditions. It also helps keep your skin hydrated to fight wrinkles and dry skin. Will fish oil upset your stomach? One possible side effect when taking fish oil supplements is nausea, and the likelihood that you’ll experience this increases with the amount of fish oil consumed. Always start off slow when supplementing and build up to where you need to be. Follow the directions listed on the fish oil you’re taking and be sure to take with food if that is what is suggested. Does fish oil trigger gout? You may have been told to avoid shellfish to avoid a gout attack, and wondered if fish oil is included in that recommendation. But the consensus is that fish oil can actually help reduce inflammation assocaited with the condition, which can help ease the symptoms associated with gout. Can fish oil supplements go bad? Fish oil supplements can go bad, and it’s important to check the expiration date on the bottle that you’re considering to make sure that it’s still good. It’s also important to buy a fish oil supplement from clean sources that have been tested for purity.